To celebrate a change in renting laws in the UK, Airbnb has sent a floating house onto the Thames … and customers have a chance to get on board. 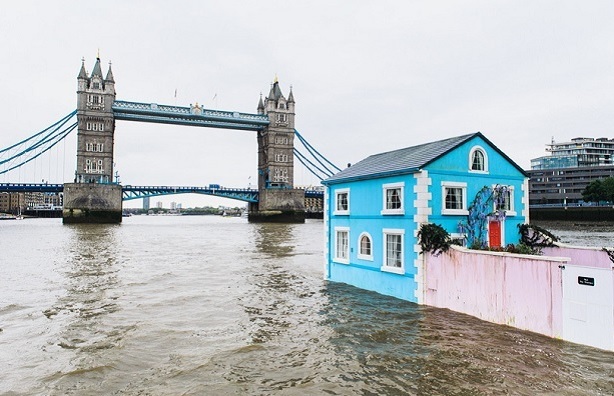 Designed by TBWA creative directors Steve Tidball and Nick Tidball, the property will be travelling up and down the Thames visiting, Putney, Chelsea, Greenwich and the Isle of Dogs in celebration of the Government’s ruling that owners can now share their homes for up to 90 days at a time. Described as “Primrose Hill meets Pixar” the charming building features two bedrooms, a bathroom and grassy garden complete with an apple tree and even a dog house. 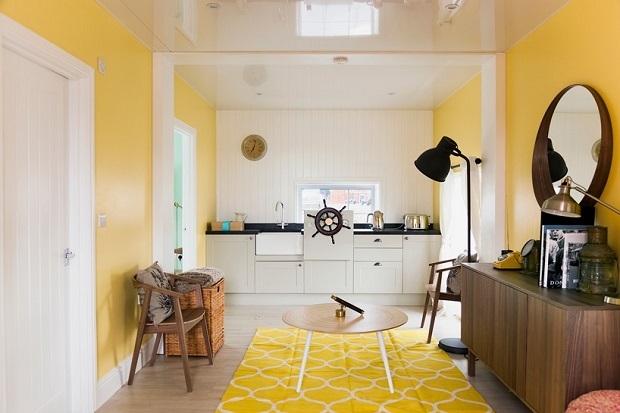 Inside, it features a working bathroom, pastel bedrooms and a sunny yellow kitchen and lounge kitted out with mid-century style furniture. James McClure, UK Country Manager said: “The Floating House is the ultimate celebration of home sharing and an unforgettable travel experience to bring to the UK. Airbnb has also set up a listings page for the house, where users can enter a competition to stay in it on Friday night. The winning guests will receive spa treatments and have dinner cooked for them by Lima chef Robert Ortiz.